8/28/2016 – As technology and computer science advance, the contributions of computers to human knowledge have made it harder and harder to delineate which part of the equation was the more essential, humans or the computers they used. Obviously we cannot outcalculate the top computers anymore than we can outrun a car, but one area we still outdo machines is in creativity, right? Is this still true, and if so, for how long? The ‘competition’ between man and machine is a long and well-documented one, with famous examples dating back to at least the Industrial Age when machines began to replace humans in mechanical and repetitive endeavor. One of the most famous stories is the battle between John Henry and the Steam Drill, a tale that is deeply bound in fact and fiction. The story takes place in the late 1800s when railroads were being built around the United States as fast as possible. Tunnels were dug out of mountains with men driving a steel drill into rock to make holes for explosives to blast the rock. In order to accelerate this process, a steam drill was developed, essentially displacing men from their jobs. According to legend, a powerful African-American, John Henry, tested his prowess as a steel-driver in a race against a steam-powered hammer, a race he won, only to die in victory with his hammer in his hand as his heart gave out from stress. Whether true or not, what matters nevertheless is how persistent this tale remains to this day, and what it says about our relationship to our very own creations. It quickly became clear that such feats of ability were exercises in futility, and no one even considers whether they can outrun a car, or outlift a crane. What was left was intelligence, where we still had no rivals, and while abacuses and calculators existed, there were always exceptional humans who could out do even them. Eventually, even that race of crunching numbers lost ground and although never tested in a formal match as they did in chess, the machines’ superiority in this is not doubted by any. So where does humanity’s last obvious edge lie? Overall intelligence and the ability to tie it all together? There is no doubt this is true now, but it is a vague claim, and once technological singularity is achieved, even that will quickly cease to exist. Technological singularity is the term used to describe when true Artificial Intelligence is achieved, surpassing human intelligence. No, right now, the area where we like to claim clear superiority is in creativity. Although there seems to be little doubt it is an overall race we still hold an edge in, the question remains for how long? This has even been the subject of many a science-fiction tale, always quick to acknowledge the machines’ ability to calculate far beyond our greatest imagination, yet ultimately trumped by human’s creativity. In the first Star Trek film, released in 1979, a machine of godlike knowledge realizes that its only way to evolve is to join with a human and acquire his creativity, unconstrained by the boundaries of logic. In chess, with the advent and inclusion of chess engines, this has been a significant debate for some time. It isn’t so much a question of whether or not they find moves that defy our ability to understand them, or that challenge our understanding of what is acceptable, but whether or not these moves are early examples of machine creativity. In 2009, Shay Bushinsky, the co-author of the chess engine Junior, published an article in AI Magazine debating this very subject. In the article, titled “Deus Ex Machina – A Higher Creative Species in the Game of Chess”, he examines the question of what is creativity is, using the Eduard de Bono theory of lateral thinking, which identifies techniques such as ‘nonconformism’ and “thinking out of the box”. Bushinsky’s conclusion, supported by reasons he gave in his examination, was that computers were more creative than humans in chess. More recently, even things usually ascribed purely to the act of creation in chess, such as chess problems, have seen computer programs challenging these fields with their own inventions. Pal Benko wrote a lengthy article in which he examined ten problems devised entirely by a computer program, and concluded they could not be qualified as ‘artistic’. In both cases, we find ourselves facing moves and positions produced by machines would have been defined as ‘creative’ if they had been born by a human, yet as they stemmed from a machine, we balk. Is this wrong? Isn’t this just abject prejudice, refusing to call an ace an ace and denying the machine its due? I think not, and will explain why, but don’t think that is the end of it either. I can only agree with Bushinsky and de Bono on the criteria of nonconformism and “thinking out of the box” as essential to defining what is creative or not. My bone of contention is the question of intent. Thinking out of the box means not only examining ideas that are outside the scope of those that are usually used, but understanding that is what is being done. In other words, before claiming to have found a novel idea, one would have to know what the old ideas were and realize that this idea is indeed new. If I were to write a phrase that transgressed certain rules of the language, I can only claim it was an act of creativity if I deliberately did so, knowing I was breaking some rules. If I wrote this same mistaken phrase simply because I was unaware of the rules that applied, then one would have to conclude my phrase was the result of ignorance, not creativity. 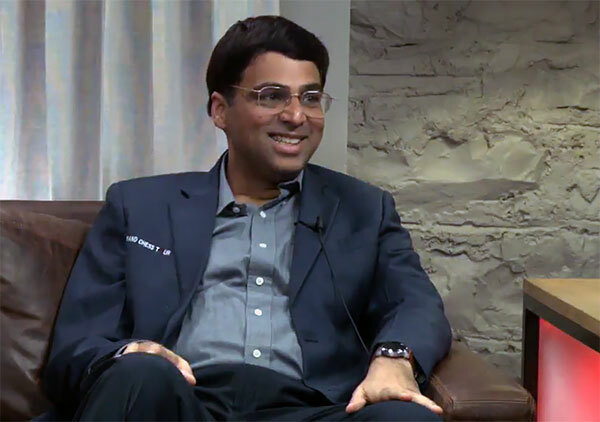 Vishy Anand is a player who has weathered the full transition from the earliest days of computer involvement in chess, to the modern game as it is known today, and he has done so at the very highest level. Does that mean humanity’s hold on creativity is unchallenged thanks to a pretty little piece of semantics? No. In March 2016, we witnessed a truly historic event: the rise of DeepMind’s program AlphaGo, and a victory over one of the world’s best human Go players at least a decade earlier than most pundits had thought possible. The victory and leap forward were only part of the reason for its historic importance. The biggest part was how it had been achieved. The program had been developed with minimal intervention by humans, using a very different approach to what had been tried before. Instead of developing a series of rules and guidelines entered by humans much the way chess engines are developed, which were then attributed greater or smaller value according to tests, AlphaGo was given a library of hundred of thousands of online games by top players and told to study them using its deep learning and neural networks. This became the core of it evaluation function, further refined by extensive self-play, with over 30 million games against itself. 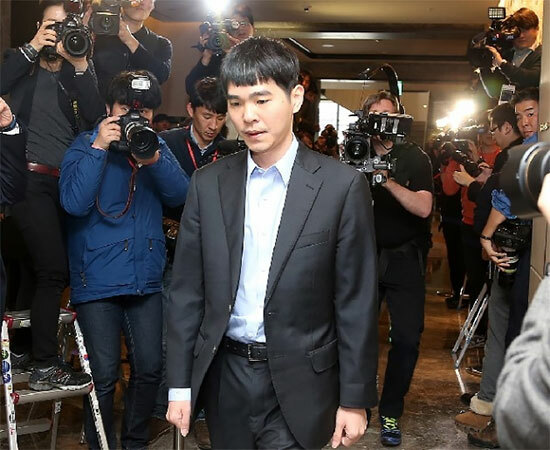 The result was a crushing victory by the machine over a legendary player still in his prime, punctuated by several key moves that left many top professionals scratching their heads. In the official live English commentary by top player Michael Redmond, a 9-dan professional in Go, expressed his deep surprise about these key moments. “The move 37 in game two was a really surprising move, it was something very different from anything I had seen before. What exactly was AlphaGo calculating or thinking when it came up with that move? The live commentary of the games in the match were preceded by fascinating insights by the developers themselves, who shared everything from the history of AlphaGo to how it was created and how it worked. If the video does not start at the right point, skip to 16:20 for the explanation on how it found its "one in ten thousand" move. Naturally, he explained how that was even possible. The base of human moves was a starting point, but it was capable of analyzing other moves, even if its bias was for the top ‘human’ choices, and deep search could allow it to conclude that another move entirely was in fact the best choice. This was what had happened a few times in the match. The conclusion was simple: AlphaGo not only knew what was standard for human play, but through its own search and judgement deviated from those choices to deliberately play what was initially considered a move a human was highly unlikely to play. While there might be cases in other fields where this level of judgement and creativity has been shown, this example of DeepMind’s AlphaGo nonetheless leaves no doubt. Where does that leave mankind? Another lost battle? Hardly. The flaw is in even considering this a battle at all, either to win or to lose. Creativity is not about winning or losing, but understanding that no matter how much we know, there is always something more, something we had not considered, and it is upon realizing this that we embrace the mirabilia of the infinite. By the way ... Hiarcs 14 gets it after I put the correct position in from your last post. Just a note ... no matter what the Black Bh8 and pg7 make it not a valid chess position anyway. Not achievable in a real game. Plus to make sure you get the position correct the first time .. in the future try to use "fen" for the position. liebe friend, so you think, that we are not able count to eight? :) First you give wrong settings (3x), then you give wrong solution. your = (4) B-g5…B-b2, i think, it could be Bc8-b7, because Bb2 means mate for white king, and if 4.- Bc8-b7, then 5.Bxb7 after your ph3-h2 is 6.Bxa6 mate! A chess engine thinks in speed of light, but human thinks, naturally, much, much slow. Thus, to be fair, engine time per move should be in seconds, but human should be given one day per move. All the openings, as if nothing is missed, have been fed to chess engine, that is why in opening of match engine against grandmaster, even on odds of two pawns, engine has the advantage...engine has all the answers beforehand, programmed up to level of five moves, more or less. In middle games, such similar positions encountered, the programmed engine can recognize and know the answer even before a grandmaster can blink an eye. But in chess puzzles, especially long-winding, there are new positions, new problems not programmed, thus chess engine cannot recognize, thus, it loses. this puzzle of mine is one. It must not be forgotten: computer is made by man. jsaldea12 9.3.16. (7) N-e5 ch…K-d4 (8)Ng-f3 Mate. yes, white mates black in minimum 8 moves. If i understand it right, white begins and force mat at least in 8 moves with best black's defence? @jsaldea12: I may have a clue too: Because there is no solution. I must say, the word 'creativity', is very human. When a human uses creativity in a chess position to make a move, are they playing something that is totally off the wall? Or are they seeing some aspect that is remotely suggested by previous experience or inspired by nature.... Eventually, the possibility that the move was suggested by 'god' comes up. And the word, 'god', is also human. Meaning that which cannot be explained by human rationale...'god' is definitely human creativity. Not necessarily correct but instead an abdication of rational considerations. If the computer decided to play a move that was least likely to be played by a human, this would be creative unless the programmer "made it so". That's the way computers work. If the computer, without human assistance, decided to play a move that the human wouldn't consider, I would wonder if the computer was ... indeed...alive. @rubinsteinak, but what's to prove with say AlphaChess? In chess, commercially available and even free ones are now much stronger than human. Since 1997 Deeper Blue match, it is no longer a challenge to build a chess hardware/software that can beat the best human. In Go however, the best programs previously stand no chance against the best human players. There was a huge challenge with Go that no one manage to do, until AlphaGo. I have still yet to see anyone comment on why the AlphaGo algorithms have not/can not be adapted to chess. Something tells me if they could, they would have (one of the main designers of AlphaGo was a strong chess player). I wonder what the issue(s) were when they tried to implement the self-learning algorithms with chess, rather than Go. White to mate black in eight moves. Do let us know the result. I may have clue why chess engine cannot solve. Regards. Do let us know the result. I may have clue why machine can beat human in match but in chess, human prevails. Regards. Do let us know the result. I may have some inkling why chess engine cannot solve. Regards. Many commentators here seem to miss on the major point that this GO match signified. I don't consider chess programs as AI or creative - because, as the article explains, these are algorithms encoding a set of rules. Each outcome has a value and the value tree is parsed to pick up a move. All this is more credit to human intelligence. When the computer comes up with a great unusual move, it is because humans had missed that one peculiar condition when all the algorithms, rules and evaluations bring up that move as the best. It is more about the computer being more thorough and not distracted by optics and emotion. These are older generation programs having their roots in the decade of the nineteen eighties and will soon be outdated. The Go playing computer program is different. It was not programmed with rules, scores and selection criteria in the manner that chess engines were. Rather, it was given the basics and asked to develop its own rules and algorithms based on past games. It then was allowed to try its algorithm (not programmed by humans) and perfect it by playing with itself. So, it is in effect a child that has been given basic teaching and allowed to evolve by learning further on its own. If such a child/ program manages to beat the best human, I think it is a great step forward in AI and computer programming. In theory, the base program could have been fed driving lessons and become a great automated car driver... or it can look into earth's composition, decide for itself what causes life to exist and then search for similar candidate planets, etc. The program/ child is the same and can be used for any task. I think it is a huge step forward in computing evolution. @satman, however what makes a computer decide which moves to make? It is also from the algorithm, coded base on chess 'rules' and understandings, and then giving parameters to these set of rules so that the computer could calculate which would give the best score. To say that computer simply by brute force is missing the point because it still needs the correct parameters. A case in point, there are strong and weak programs out there, because of the way it is coded, and some missing important principles coded into rules and parameters. Saying a computer is creative is like saying a submarine swims. The former long-time Match World Checkers Champion mentioned in this article, Marion Tinsley, was a beloved figure. Checkers has, or at least had, its own form of world title split during the 1900's. The primary world title is in the form of checkers which is loosely analogous the chess960 (Fischer Random Chess, FRC), and this is the title which Tinsley held. The less popular world title is checkers which uses only the one start setup that we all learned as kids. Checkers faced its Opening phase problem at took big action to solve or reduce it. After watching a few minutes of middle-game analysis in the first video, I might suggest they obtain some Go stones designed solely for demonstration, to be visually distinctive from real stones. Perhaps the demo stones could have a small hole drilled through their middle. In the video, the analyst added real stones to the position so as to obscure the actual position unnecessarily. And he did not always clear away all the analysis stones in a timely manner. Until today I did not realize that the en-US word 'judgment' is spelled with two letter 'e' (judgement) in some English speaking countries, perhaps in Great Britain. "If I were to write a phrase that transgressed certain rules of the language, I can only claim it was an act of creativity if I deliberately did so, knowing I was breaking some rules. If I wrote this same mistaken phrase simply because I was unaware of the rules that applied, then one would have to conclude my phrase was the result of ignorance, not creativity." Disagree. Poets compose, analysts and critics find the rules that were broken and try to decide on the creativity factor, and often disagree about it. Creative people often do not know how they are creative.. they have absorbed a lot of rules and methods of rule-breaking and aesthetic insights and put them together to create something new. Computers still can't play chess. "The flaw is in even considering this a battle at all". A peace handshake it was not neither. Well software is algorithms programmed by people so in fact it has not been computers 'beating' players, but algorithms. With neural networks like DeepMind issues become clouded and maybe you could begin to argue that a learning 'mind' is defeating humans. The larger question is how machine advancement impacts the economy -- jobs. Currently workers have no protections against replacement by automation, even as it becomes obvious that more and more of the occupations humans do are being replaced by it. While AI people crow about software advances, real humans are facing a really threatening future. Society should be contemplating laws: e.g., if workers are displaced by automation, they will be promised at least some of the monetary benefits of that automation. Such ideas have been floating around for years, but came to naught. Some philosophers a century ago speculated that a day would come when people would have to work very little or not at all, as machines could provide all the basics of survival at very low cost. No one need worry about paying the rent. But instead, most of the benefits of automation have gone to the corporations -- great for investors, great for Google's stock price, but the only advice for laid-off workers is the tired retraining mantra. Since unions have been stripped of power, they can't be of much help in most industries. It is a real issue, yet surprisingly it stays under the radar, with few politicians willing to address it. (That does not surprise me since politicians rarely tackle the deeper issues). While this is all fascinating and exciting to think about, it seems that one aspect of creativity is inherently ignored when we speak of computers...emotional value. A certain part of creativity is finding new, original solutions to problems. I absolutely agree with that. But I also believe that there is value to emotional aspect it has for humans which pushed them to desire to find new solutions whether it be mathematical or drawing. And creativity is about what is new to you...not necessarily to the world. Will computers learn to be creative for their own sake? Will they be taught about Go algorithms and decide that there is a better, more appreciated way to design clothes? The reason I think the emotional component of creativity is important to remember is because our philosophical panderings often end up shaping education and something is lost when we forget the human side. Computer science is the greatest field currently. It's everywhere from LHC to Chess to Share Market to genetics. Although Computer Science is not needed to play chess as sport today(but machine learning algorithms, will find many amazing secrets in coming years which even great GMs will not know forever). Basically computer science teaches humans how to think in the most optimized way to solve a problem. Thanks to Mathematicians/Computer Scientists, who keep on creating those amazing algorithms. For the end user machines are only calculating, but they are calculating in the most optimized way, and humans are simply way behind that thinking! . Just wait for few years, those machine learning algorithms will rule the world of Chess Theory. Future GMs will need a computer science background(my prediction is still after 15 years) to survive the competition level . Because Chess is so difficult humans have had to develop rules, principles, guidelines to help us find our way. Over time we've come to believe that these principles represent some kind of 'truth' about Chess, but the computers have shown that this is a delusion. All we have are moves - the moves are either good or bad, and that's it. When the computer finds some outrageous move that violates the classical principles that's because it doesn't need the classical principles when executing a brute-force search. It's not an example of out-of-the-box creativity because for the computer there is no box.